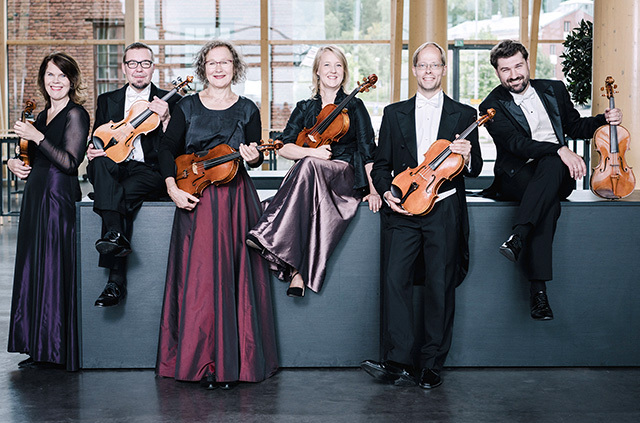 The Lahti Symphony Orchestra has been described as a ‘small-town wonder’. Its collaboration with the Swedish record company BIS was the first clear signal that its aspirations were no longer those of a provincial ensemble but were oriented towards the wider orchestral world, and the orchestra fulfilled many of its wildest dreams together with its principal conductor Osmo Vänskä (1988– 2008). Since the autumn of 2008 until the spring of 2011 the orchestra’s artistic advisor – and artistic director of the Sibelius Festival – was Jukka-Pekka Saraste. Since the autumn of 2011 until the spring of 2016 Okko Kamu was the orchestra’s principal conductor and the artistic director of the Festival, and in the autumn of 2016 Dima Slobodeniouk began his tenure in these positions. These successful performances gave rise to repeat invitations, and tour destinations have included the United States (January 2005) and Japan (2003, 2006 and 2015). Japanese critics chose the orchestra’s Tokyo performance of Sibelius’s Kullervo in 2003 as the year’s best classical performance in Japan. The orchestra has performed at the Concertgebouw in Amsterdam, the White Nights Festival in St Petersburg, twice at the BBC Proms in London and at six concerts in the Musikverein in Vienna. In addition, it has given concerts in China, France, Spain, Poland and Belgium, and its performances have been warmly received by the international press.